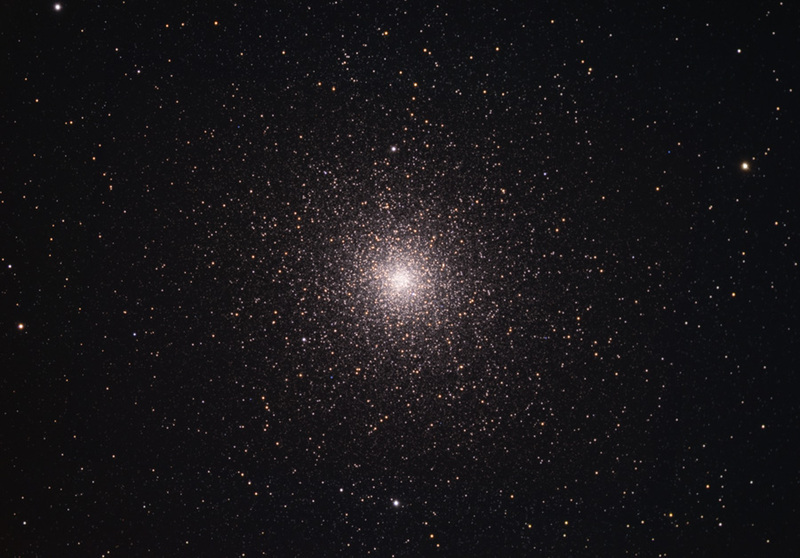 The great globular cluster in Tucana (near the Small Magellanic Cloud). Below, an animation of two images of 47 Tucanae (made in October 2013 and September 2014) showing the flickering of variable stars. There are at least five visible; three below centre, one just above centre, and one (with the most dramatic change in brightness) at left. The latter is catalogued as IRAS 00230-7220, a variable of the Mira Ceti type. 11-inch Schmidt-Cassegrain telescope; DSLR camera.